This story sounds very interesting. Can't wait to check it out. I have heard all good things about this one so I'm anxious for it! This one looks like it's gonna be great! I can't wait to read it! This one sounds really interesting. Thanks for the chance to win! Seems to be worth reading. Hope I win! I would love to win a signed copy of this one! Awesome! Cover is intriguing. Thanks for this giveaway!! I have heard the super volcano under Yellowstone used in a few ways now. I'd love to see how this one is put together. The Goodreads summary makes the book sound awesome. I'm in. Since last year I have seen this book around and thought it would be a decent read. Thanks for offering up a copy! Sounds really good! Thanks for the chance to win a copy. I've had this book on my wishlist for a while now. I would love to read it and find out how they survived. I love a good survival book. Thanks for the chance to win this awesome book. This one looks super good!! This one sounds like a really great book. Thanks for the chance to win! sound like a good one. It sounds like a great read. Count me in! Thanks for the giveaway, sounds great! This one looks like it's gonna be great!Thanks for the chance to win a copy. Sounds like a good read. I'm interested. Please enter me. Thanks! Would love to read this! Thx for the chance. 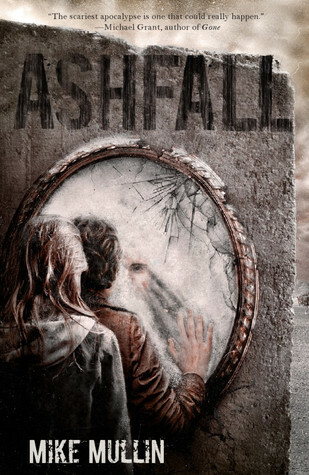 OOh, Ashfall. I would love to read that! I love the sound of this one, plus its on my brother's wishlist! I so want this book!! !